Established resort offering over 76 acres of rolling pasture and woods, multiple barns and out buildings as well as main lodge with over 7,000 sf of commercial kitchen, banquet hall, office and bedrooms. The lodge commands breath taking mountain views over Pisgah National Forest which the property borders. Hike directly from the lodge to the West Fork River and into the Forest. The property offers ultimate privacy and peace while only 14 mins to downtown Brevard. 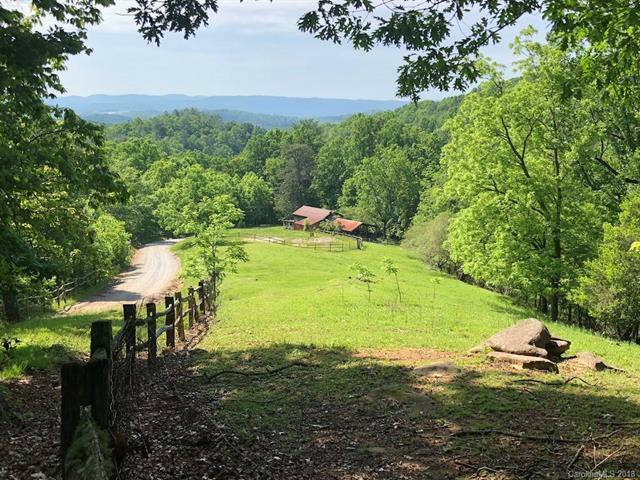 Its not often you can find this privacy on a tract of this size as well as established pasture, mature hardwood forest, surface water with creeks, springs and pond and did I mention amazing mountain views.